A meditation, or mind jar, is a jar filled with liquid, like water and glitter. The child shakes the jar which sends the glitter spinning and spiraling. The glitter is like a busy mind, and mind full of thoughts maybe even negative thoughts that swirls and feels crazy. Has the glitter settles down and the child watches it breathing deep into their belly, they can focus on the glitter and let their mind settle down. These new kids on the block have a special something added to them~ we created layers in the bottle by adding oil colored with a bit of food coloring to the water. This makes it take longer for the contents to settle down giving the child more time to breathe and calm down. It also makes the liquid a bit more sparkly. Thank you for taking the time to read and comment. I truly value each and every one of you! Have you ever looked inside a tulip? There is a lot going on! The perfect present for mom because it is cute and relaxing at the same time. A study of the butterfly life cycle. Aromatic crafting for the holiday season! 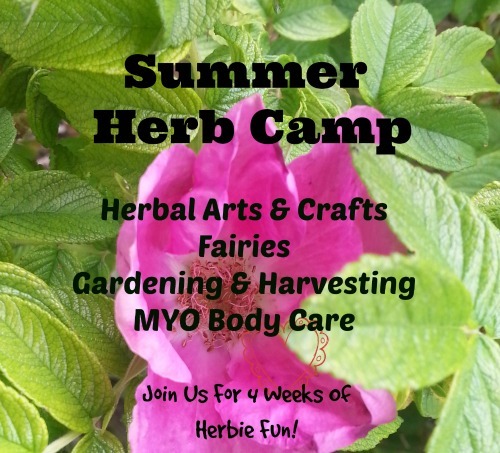 and hopefully gave some folks a fun herbal craft idea to try! This was by far one of my favorite activities I have ever done with the kids at preschool. It was just so much fun!! Mommies need a break too! Creating a tool for helping kids with their emotions. Tasty fun for a summer day! Cute little kids learning about beautiful violets. Best wishes for a wonderful new year! May it be full of what ever you are wishing for! Here is our second round of cinnamon 'n' spice ornaments! We had so much fun coming up with ways to decorate using botanicals. Check out my other post Cinnamon 'n' Spice Ornaments Craft Stylefor full instruction on how to make this aromatically stimulating craft. Trust me these are easy, stimulate a lot of imagination in kids and smell amazing! You won't be disappointed. When I share herbs with kids I love to do it on as many levels as possible, engaging all their senses. Of course taste, touch and smell are huge when working with herbs plus most herbs are a visual feast for the eyes. This day, cinnamon day, was no exception. Cinnamon is delicious and approachable often bringing up memories of comfort from home with its sweetly spicy taste, yummy fragrance and warming properties. It is a great herb for working with kids. They simply love the taste, the smell and it is a familiar herbs for most. We had an absolutely lovely, cozy day playing with cinnamon. I made the kids warm cinnamon milk for snack time which they LOVED. Making cinnamon milk is so easy and at the same time tastes so special. Because the preschool I work at is vegan, I used almond milk for the kiddos combining it with a bit of cinnamon, enough to really flavor the milk without being overwhelming, and then heated it to a nice warm drinkable temperature. Our hands on experience was making cinnamon play dough. I have a great love of play dough stemming back from my childhood and combining herbs with play dough is just about one of the best things ever in my opinion! I made a big supply of fresh play dough and brought it in still warm for the kiddos to enjoy. As the kids playing I sprinkled on ground cinnamon and the warmth of the play dough interacting with the cinnamon made for a lovely smell. We also added a bit of orange essential oil to the play dough for an extra dimension of fragrance. I brought in lots of cinnamon sticks for them to use with the play dough. Optional: powdered herbs for color, either mix in when cooking (can give more even color) or let the kids mix in at the table. Combine dry ingredients in a sauce pan. Add the water and oil. Stir together and heat slowly over low heat. Stir almost constantly until the play dough sets up. Let it cool to warm before playing, play dough right off the stove is hot. While they played I read the story of Cinnamon, Queen of the Spices from A Kid's Herb Book by Lesley Tierra. If you haven't checked out this book, you really are in for a treat when you do! 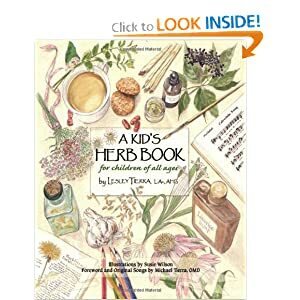 It is chock full of ideas, stories, recipes and herbal inspiration for kids. Cinnamon Day was a simple creative day of great fun and rich experience. A time to connect with a beautiful tasty plant friend. Inspired by the excitement over the snowglobes we made earlier this year, I decided we should try another watery glitter project. This one has a different purpose than to capture a bit of whimsical winter in a bottle. Taking a cue from one of my family's favorite books, Peaceful Piggy Meditation, we decided to make special meditation jars with personality! This was a simple happy project. First we read our Piggy Meditation book. We talked about how sometimes our minds just won't stop thinking or maybe we feel really sad or angry. We talked about how taking a few deep breaths and finding a calm place inside ourselves can help us to feel better. Then I showed the kids a Meditation Friend that I had made as an example for our project. I shook it up and explained that the glitter swirling around inside is like our thoughts when they are overwhelming or angry or sad. Next we took a few deep breaths while watching the glitter settle down in the jar, and while feeling our thoughts settle inside our minds. We played with the Meditation Friend pretending it was mad or just had too many thoughts by shaking it up and then we helped our friend calm down with some big, deep breaths. After our discussion each kid made their own Meditation Friend. Simply place water and glitter in the bottle and secure shut. Then have the child decorate their bottle to look like a face with googly eyes and any other materials you have on hand. I used peel and stick foamies because, well, they are easy! Then give the new friend a hat by securing a piece of cloth on top of the bottle with ribbon or yarn. Easy Peasy! In the days following this project, I had a number of the students who made these tell me that they used it when they felt sad or lonely or mad and, that it helped! Yeah! Please Note: This activity was based on an activity at the end of this amazing, fun book. My six-year-old loves this book. We re-read it often when she is going through a hard time in her life and it seems to really speak to her. Discovering nature's treasures like these instantly engage and enchant children (and me too!). What better insect to choose for a close-up look at life cycles? Last week we studied plant life cycles at the school so the children were already familiar with the idea. I brought in an example butterfly life cycle that I had made with art scrapes from my stash: pompoms (perfect for caterpillar bodies), silk flowers and leaves (leaves to lay eggs on and flowers to pull apart and use for wings), pasta shells (cocoon) and multicolored popcorn (eggs). As we sat in a circle, I shared the butterfly life cycle with the kids we talked about being scientists by looking at the world and observing what we see. We read The Very Hungry Caterpillar by Eric Carle. As we read, we looked for parts of the butterfly life cycle. We found the egg, and the cocoon and the butterfly; the kids really got it and I was impressed! Next the kids made their own butterfly life cycles. I gave them each a leaf to glue down on a piece of paper and then encouraged them to lay "eggs" on their leaves. On we went including parts of the cycle. I always love to present children with an idea and then let them take it from there and we had many creative life cycles when all was said and done! Flowers fascinate me, they always have. I can remember spending many happy hours in my parent's garden fondly stroking tulips and talking with snap dragons, or rather making them talk to me. The colors and scents, how can something so amazing grow right out of the ground? We are studying life cycles at preschool as part of out Earth Day curriculum for the month of April. We set up a plant life cycle on our science table. Into seed pots we planted marigold seeds and then set them up right next to a full-grown marigold plant, with the seeds next the plant. The goal is to give the kids a visual experience of a life cycle while we wait for our baby plants to sprout. As part of this we read the book: Seed to Plant by Melvin and Gilda Berger. This is a great book with wonderful pictures seeds and plants at different phases of the life cycle. It really helped the kids to understand the process. We also played the life cycle game. Each kid pretended to be a tiny seed planted in the ground (they get in a ball on the ground). While I pretended to water them as the sun came out and the kids began to grow into a plant (they stretch up towards the sky on their feet), and next the kids sprouted flowers (what color is your flower?) that made seeds. The seeds blew away in the wind (we waved our arms) and landed back on the earth (the kids end up back in a ball on the ground). They loved this game! It was a great visceral way to experience a plant life cycle. My love of flowers prompted me to bring in a bunch of flowers and talk about where the seeds are made in a flower. I brought in tulips for us to explore together. After we reviewed our plant life cycle, I got ready to cut apart a tulip with the kids. At first they were sad about hurting the tulip. These are some sweet kids! But as I started pulling the petals back they became totally engaged in what they were seeing. "Whoa! Ms. Angela, what is that?" All heads were bent peering closely as were investigated our tulip. I pointed out the anthers on the flower and we talked about pollination. We felt the slightly gritty pollen dust on our fingers. I was fortunate to have a lovely book, The Dandelion Seed,with me with an illustration of a bee covered in pollen which gave the kids a good visual for pollen transfer via insects. The Dandelion Seed by Joseph Patrick Anthony is simply beautiful. The story is profound and engaging while the illustrations are incredibly lovely. In fact I cry just about every time I read it! Then I showed them the pistil, the part when the pollen lands and fertilizes the flower to make seeds. We cut into the pistil but weren't able to see much even with our magnifying glass. I also brought in some lilies for the kids to explore. Each child got a lily anda coloring sheet showing the parts of a plant (click here for a link to this great coloring sheet). The kids pulled apart their flowers and glued them to their coloring sheet. We had a great time being scientists and learning about the mystery of plants and flowers! This is a story of how a sweet puppy helped a little girl along her way; the power of an animal in the life of a child. The summer of my 10th year I spent largely beneath my bed or at least that is the most memorable part of that time. I had someone very special with me, a new puppy. Her name was Heidi. She was a small miniature schnauzer, covered in soft light gray fur, with a bushy white beard and deep brown eyes; just perfect for a girl like me. We would climb under the bed and snuggle down together in the mist of the discarded toys I had hastily shoved into place under the bed while "cleaning" my room. I would lay on my stomach, throw my arm over Heidi's back, rub her and talk to her. She would always listen to me with great care, never seeming annoyed by my lengthy speeches. My family was going through a tough time and Heidi helped me feel comfortable with myself and the world. She helped me to retreat into this special place of calm and love. Later I would take her on long walks to the park and train her to play me on the slide. She slept in my bed with me, her back to mine. She had a way of slowly edging herself up against me as the night wore on and I would often awake to find myself perched on the edge of the bed while she had the rest of it to herself. Heidi was always there for me. Sad or happy, lonely or distracted by friends, she was always there. I loved her very much and was surely a lucky girl to have a dog like her. In honor of National Puppy Day and mostly Heidi! This is really a story about the beauty of a child. For children can't help but be beautiful when we slow down enough to let them share that beauty. "Where are you Vi?" "I am in here on the potty. Will you read my bug book to me?" Vi implores. I start to panic, it is 7am and I have my full morning of timely responsibilities pressing on me. I know if I stop to read to Vi, everything will run late. Sadly I tell her "maybe later" feeling like I say that way to often. Happily later that very afternoon I remember the bug book. We snuggle up for a good read of this brightly illustrated lift-the-flap book about all kinds of bugs. Vi is so snuggly and enjoying the book so much it is pure delight to be with her. I suggest that we go bug hunting after reading our book. Bug hunting will get us outside to plant the pea seeds we had planned to put in the ground that afternoon. With the book finished we head out to the garden for good old fashion bug hunting. At first we don't see any bugs despite Vi calling "B-U-G-S" in a sing-song voice. I ask Vi where the bugs in the book were and she remembers that bugs like to hide. "There's a rock Mommy!" Vi points. We lift up the rock and are rewarded with a wriggly earthworm. "There's another!" Vi exclaims. On it goes until we exhaust our supply of rocks. Now that we are outside I suggest that it is time to plant pea seeds we had planned to put in the ground that afternoon. While I go to get the compost for amending the soil, Vi waits for me bouncing on the trampoline. We, are as usual, are a few weeks late in our pea planting. Sometimes it takes a while to get around to these kind of things. And, I am feeling anxious to get the soil prepared and the seeds in the ground so we can enjoy the best harvest from our garden. Also, in that moment, I feel the lateness of the day and dinner is starting to loom as well as other things that need my attention. I pull myself back to the moment and the task at hand. After a bit of struggle I make it to our garden with a big bag of compost. Vi and I start to shovel the compost into the garden. As I had anticipated, Vi loves this. She has a blast with each shovel full talking constantly about the dirt and how to grow plants. After a bit she remembers two little pots which have been the focus of her attention over the past few weeks. Into these little pots she had carefully placed soil, dug from the garden beds; planted little seeds from around the yard and two pea seeds given to her by me upon request. She insists that these pots need compost of their own and I agree. I get the rest of the compost into the garden while she works on her pots. Still talking, she tells me long stories about seeds and how to keep them healthy. After a bit I get her attention to plant the seeds. At first it goes well. We decide that I will poke the holes and she will drop in the seeds. We hum along for a bit and she is pretty well focused. But then we hit a snag and start to have an argument over how she is holding the seeds in her hand and how I am poking the holes. Deep breath for me and I realize that I am getting grouchy and am pretty much the cause of our distress. I look at her sweet brown eyes so earnest and loving and at her little pudgy dirt covered hands and I let go. There is nothing here to be concerned about. Just the beauty of a darling little girl and her desire to help, her desire to experience. I realize that it doesn't have to be perfect and that I can't make it perfect because it already is. We finish planting our peas and set up the sprinkler to water our new "babies." I breathe again, a breath of gratefulness for the chance at motherhood. With our garden started and a mommy lesson learned, I know this year the peas harvest will be the best ever. I wrote this late last spring, Have been waiting and waiting to share it! Now we are close again to pea planting time and I thought the time was right at last to share this story. In anticipation of earlier pea planting this time around, Vi and I are attempting to sprout our peas in the window before we plant them in the ground. We took some peas left over from last year, put them in plastic bags with wet cotton balls. First we soaked them overnight in water and then used that water to wet our cotton balls. Then we sealed them and now they are in the window. We will watch and wait to see how it goes. I am hoping for little roots and leaves to show themselves soon.